New Hot Toys now available - The Emperor Deluxe Set, Deadpool 2, Leia Organna, Wonder Woman Deluxe Set - Justice League. Batman 1/4 Scale, Iron Man Gantry Set , Darth Vader - Empire Strikes Back Version. Hot Toys Exclusive Dark Side Anakin now in stock. Hot Toys Stormtroopers now available for pre order. Action force loose figure and vehicle section updated. New Action Force & Cobra stickers added plus Red Shadow Enemy pack back in stock. In Stock Now Hot Toys Darth Vader & Grand Moff Tarkin Deluxe Set, Spider-Man Home Made Suit Version, Arkham knight Joker VG Edition, Last Available Blitzway Ghostbuster set . Obi Wan Deluxe, Batman, Wonder Woman, Aquaman, Superman, Baby Groot, Star Lord, Neo-The Matrix, Ghostbusters, Spider-Man Homecoming, Disneys Belle from Beauty & The Beast, Iron Man MKV Diecast, Iron Man MKIV Diecast with Suit Up Gantry, Loki, Arkham Knight Batman. New Hot Toys 1/6 figures in stock! BTTF2 Doc Brown, Guardians of the Galaxy 2 Rocket. Hot Toys Emperor Palpatine Deluxe Set with Throne & Royal Guards now available for pre order! Hot Toys Back To The Future II Marty Mcfly now in stock! Hot Toys Star Wars Jyn Erso from Rogue One & Hot Toys Ellen Ripley from Aliens now in stock! Boxed Star Wars Micro Machines Master Collector's Edition 40 Set added. Hot Toys Black Panther back in stock, only one available! Hot Toys Harley Quinn now in stock! Hot Toys Luke Skywalker Force Awakens & R2D2 now in stock! Hot Toys Terminator Endo Skeleton now in stock! Vintage Star Wars Darth Vader Carry case plus vintage vehicles, mini rigs and die cast vehicles added. Darth Vader – Lord of the Sith Premium Format by Sideshow Collectibles Episode VI Now Available! Hot Toys Yondu Deluxe version & standard up for pre order plus Ellen Ripley - Alien figure. New Hot Toys pre orders now available, Anakin Skywalker, Princess Leia Hoth ESB, Grand Moff Tarkin, Grand Moff Tarkin & Darth Vader Deluxe Set, Life Size Groot, Rocket, Star Lord, Jack Sparrow, 1/4 Scale Batman Begins & 1/4 Scale Joker. Action Man sections updated with new 40th boxed and loose items as well as original vintage pieces. Vintage Star Wars Luke Skywalker Jedi Knight Jumbo series by Gentle Giant now in stock. Hot Toys Drax, Suicide Squad Deadshot & Iron Man MK46 now in stock. New Hot Toys pre orders available. Drax The Destroyer, Back To The Future Marty & Doc, Harley Quinn Prison version, Luke Skywalker Jedi Knight, R2D2, Iron Man MKVI, Blitzway Ghostbuster Exclusive Sets. Hot Toys Empire Strikes Back Yoda & Snowtrooper now in stock. Sideshow Exclusive Double Jawa Set back in stock. Hot Toys Purple Coat Suicide Squad Joker now in stock. A few MOC figures added to the vintage Star Wars carded figure section. Han Solo - Force Awakens Sixth Scale Figure by Hot Toys Now in Stock! Hot Toys Civil War Winter Soldier now in stock. Hot Toys Black Panther & Tuxedo Joker from Suicide Squad now in stock. Action Force Loose figures, Vehicles and comics added. Plus convention comics including The Red Shadows & Cobra. Display & Cos Play Lightsabers added to the various Star Wars section. Loose Vintage Star Wars figure section updated with 20+ figures. New Hot Toys pre orders now available. Suicide Squad - Joker (Purple Jacket Version), Joker (Tuxedo Version), Harley Quinn, Deadshot. Civil War - Black Panther, Winter Soldier, Iron Man MK46 XLVI. Hot Toys Exclusive Gold Chrome Stormtrooper in stock and the Deluxe Boba Fett is back in, only 1 available of each of these. Hot Toys Toy Fair Excusive Suicide Squad Arkham Joker now in stock. Small selection of loose vintage Star Wars figures with cardbacks and bubbles added plus a few loose figures. New Action Man Deluxe stands in stock plus Loose SAS Action Man figure and boxed 40th set. Hot Toys Rey (Resistance Outfit) Exclusive 1/6 scale figure now in stock. Vintage Star Wars boxed section and loose section updated with new items. New Hot Toys in stock! Deadpool, Iron Man 2 - War Machine, Civil War- Black Widow and Star Wars - Obi Wan Kenobi. New Hot Toys in stock, Civil War Captain America & Batman Vs Superman Armored Batman exclusive edition. Original Darth Vader wearable changer helmet added to the various Star Wars section plus 70+ loose vintage Star Wars figures added to the loose Star Wars figure section. SAS Hawk sticker sheets now in stock. Vintage Star Wars loose vehicles, creature & playsets added plus a few boxed items. Hot Toys Star Wars: The Force Awakens Rey & BB8 Sets now in stock! Hot Toys The Force Awakens Captain Phasma now in stock! 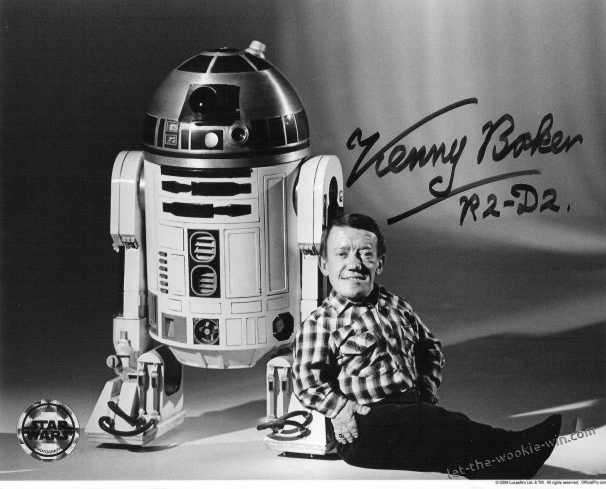 R.I.P Kenny Baker - Thank you for the memories! Action Man vintage section update with added carded sealed items. Action Man 40th boxed section updated with new items. Sideshow Exclusive Edition Jawa sets in stock. IG-88 pre order up. Gentle Giant Jumbo Limited Edition vintage Star Wars figures now available! Hot Toys Boba Fett now in stock! 50+ vintage Star Wars figures added to the loose figure section. SIDESHOW R2 D2 1/6 Scale Figures back in stock! SIDESHOW Deluxe Tauntaun 1/6 statue now in stock. Vintage Star Wars A2 action figure posters added to the display supplies section. Hot Toys Kylo Ren from The Force Awakens Now Available! Sideshow R2D2 - Deluxe Edition back in stock, limited amount! Loose Vintage Star Wars figure section updated with new figures. New Hot Toys pre orders up for The Force Awakens Captain Phasma &Batman Vs Superman - Batman Black Chromed exclusive. 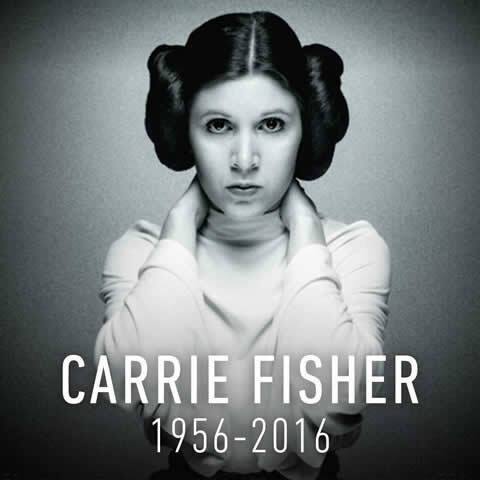 Hot Toys Special Edition Princess Leia in stock. Small selection of Action Force items added, loose figures boxed vehicles etc. New small sized display stands for vintage Star Wars figures added. Vintage Star Wars carded figures added. New Hot Toys Star Wars and DX13 back in stock! Loose Star Wars vehicles and boxed sets added. New Clamshell cases for small figures and stands for the 6" Black series range with smaller foot holes added. Vintage Star Wars loose figure section updated with 60+ figures. AOU Black Widow, AOU Iron Man MK43, Disneys Maleficent, Jim Gordon & John Blake Bat SIgnal Set. A selection of carded Vintage Star Wars figures have been added. Small selection of loose Star Wars figures added plus Boxed Palitoy Reebo band and Speederbike. Action Force items added, carded & loose figures plus exclusives. Small selection of loose vintage Star Wars figures added, plus Jabba Playset, and baggies. Hot Toys MMS236 Armory and Bruce Wayne & Alfred Pennyworth figures now in stock. Lots of Star Wars items added, Prototypes, Factory Samples, Boba Fett figures and more in the various section. Small selection of loose vintage Star Wars figures added. New Hot Toys & Sideshow 1/6 in stock. New vintage Star Wars items added, loose figures, AFA, boxed Speeder Bike, loose creatures, Jabba, Taun Taun etc. Action force boxed MMS added along with the Exclusive Red Shadows Set. New Hot Toys Batman QS001Exclusive & The Joker DX11 Exclusive added. Iron Man Mark 42 Die-Cast by Hot Toys, now in stock. Action Man section updated with new boxed items, loose figures and new figure stands. NECA section added with a selection of carded figures. New Star Wars figure check list and weapons guide uploaded. Created by Tony Solinas. New items added to the AFA section, new vintage boxed Star Wars items added, 12 inch Boba Fett boxed figure plus various Star Wars items added. Vintage Star Wars loose figure section updated with new figures. Action Force & GI Joe updates to loose figures, vehicles, weapons & parts sections. Star Wars Vintage loose vehicles, boxed items and vehicle parts added. Star Wars loose figure inventory updated. Hot Toys Man Of Steel & DX13 Battle Damaged Terminator now in stock. New Hot Toys figures added. Free Delivery with orders of £50 or more, see home page. Factory Sealed Landspeeder added to the boxed Star Wars section. Hot Toys MMS79 - Joker Bank Robber - Brand New & Factory Sealed uploaded to the Hot Toys & Sideshow section. Large update to the Action Force section with vintage Figures, Vehicles & much more. 2009 GI Joe Convention Exclusive Hawk & Blades added. GI Joe loose figure section updated with new figures. Plus Cobra Symbol display piece added to the various GI Joe section. New Sideshow & Hot Toys figures added. All orders placed in January 2014 of £55 or more will receive *free shipping, overseas buyers will also receive half price shipping. New Action Force Stickers added including German Palitoy versions. Q Force, TSATT, Enemy Pack, AF9 etc. Vintage Star Wars Jabba the Hutt Playset and GI JOE Box Set DVDs added. Lots of new figures added to the Vintage Star Wars loose figure section. Star Wars Boba Fett 12" figure added. Sideshow section updated, Star Wars figures added. Small update to the loose vintage Star Wars figure section. G.I. JOE & Action Force ProTech Action Figure stands added. Figure stands section added for NECA figures, Predator, Freddy Krueger etc. Cobra A4 sticker sheet added to the Action Force & Cobra reproduction sticker section. Vintage Star Wars loose figure section updated. Original Vintage Factory Sealed Star Wars Figures uploaded. Vintage Star Wars Carded section updated. AFA section added with Star Wars figures. Vintage Star Wars loose figure section has had an inventory update. Action Man section has had it's first update with items and more to come. Star Wars Kubrick collector's figures added to the site. The Various Star Wars section has been updated with a few new items. SIDESHOW - GI JOE Cobra Commander added. Red Shadow Action Force Joecon 2011 figures added. Small update to the orange POTF Star Wars section including Vintage re-release figures. Masters of The Universe section updated with loose & carded figures. Small inventory update of vintage Star Wars figures. Lego section updated with Star Wars mini fgures, parts and accessories. Loose and boxed Lego Star Wars Sets added. Lego section updated with Star Wars Sets Mint in Factory Sealed box. Small update to the vintage carded Star Wars section, more to come. G.I. Joe Collectors Club Magazines updated with new issues. Now with FREE Postage and new low price. New Display & Storage products added for 2012. New MOTU Commemorative section added. Some of you may have been experiencing problems with this site using the Firefox internet browser with buy it now buttons not being displayed correctly or not allowing purchases. It would appear there is a dispute between Paypal and Firefox, please try using alternate browsers. For example Internet Explorer, Safari, Opera, Chrome etc. Thank you. Small inventory update to the loose vintage Star Wars figure section and boxed items. Masters of The Universe book section updated. GI-Joe Legend, Larry Hama will be attending his first show ever in the UK at Roll Out Roll Call 2012. Go to the G.I. Joe, Transformers or Action Force menus and click on the image for more info. NEW Action Force & Cobra stickers added! Loose vintage Star Wars figure inventory updated. POTF, Ewoks & Droids Card Backs uploaded. G.I Joe Section has undergone a large update with added items such as, Loose Vintage Figures, Vehicles, Comics, Supplies, Carded Figures etc. Star Wars Loose Vintage vehicles, Boxed items, Vehicle & playset parts updated. Vintage Return of The Jedi Card Backs uploaded. Masters Of The Universe Playset, Vehicle, Creature Parts section added. Vintage Empire Strikes Back Card Backs uploaded. Vintage Star Wars Card Backs uploaded. Masters Of The Universe section updated. Figures, Playsets, Weapons & Creatures added. Vintage Star Wars spare parts section updated. Battle Of The Planets/G-Force Action Figures added. Checkout button added to the navigation bar. Various Star Wars section added with a few items. Running behind schedule but the 12" Star Wars Section is now added. Vintage Star Wars TV Ads section added for online viewing. 1st January 2011 Happy New Year! Star Wars Concept & Legacy section updated with a few figures. More vintage Star Wars Figures added to the loose figure section. Vintage Star Wars TV Ads Section added which is under construction. James bond & GI Joe Menus added - content to follow.